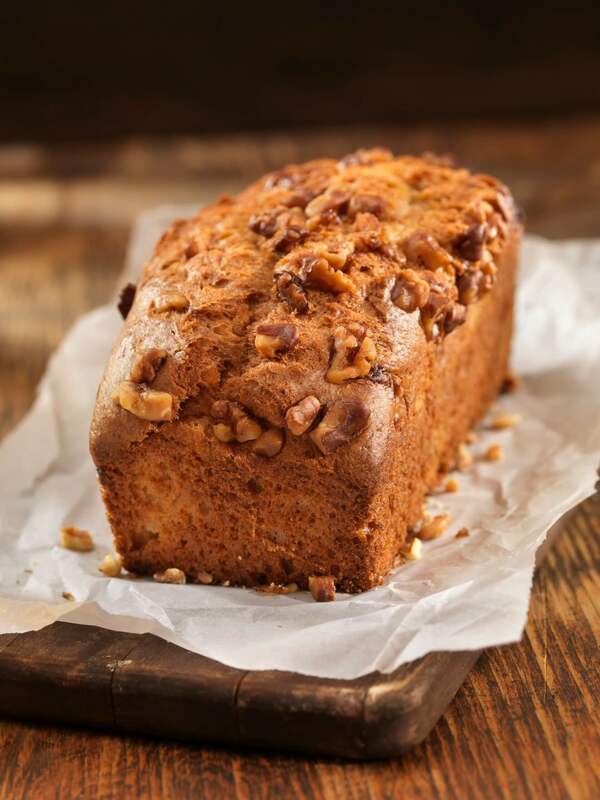 Our Maple Pecan Sweet Potato Bread recipe blurs the line between breakfast and dessert, what’s not to love? The subtle spice of cinnamon, ginger and crunchy pecans blend everything nice about fall packed into one loaf. Slice up a freshly baked loaf of this sweet potato bread to pass around at a dinner party or make ahead of time to freeze and enjoy later. Delicious on its own, with a slather of creamy butter, or underneath a big scoop of French vanilla ice cream. Our Maple Pecan Sweet Potato Quick Bread recipe blurs the line between breakfast and dessert, what’s not to love? The subtle spice of cinnamon, ginger and crunchy pecans blend everything nice about fall into one loaf. Preheat oven to 350 degrees F. Butter a 9x5x3 inch loaf pan. Store the completely cooled bread in an airtight container at room temperature.